Meeting new people and helping clients find the right house to call home is my passion and the reason I decided to go into the real estate field. I joined the Willis Allen Real Estate team as my two children were approaching the end of middle school and second year of college. Living in Coronado for the past eight years, I appreciate the numerous intangible benefits of life near the ocean with its unmatched weather, culture, and history. I understand the value of our city, its schools, and the neighborhood dynamics. Representing Coronado and nearby San Diego areas, my enthusiastic and caring nature is perfect for matching each client’s needs as well as skillfully featuring a home’s unique presence and character. 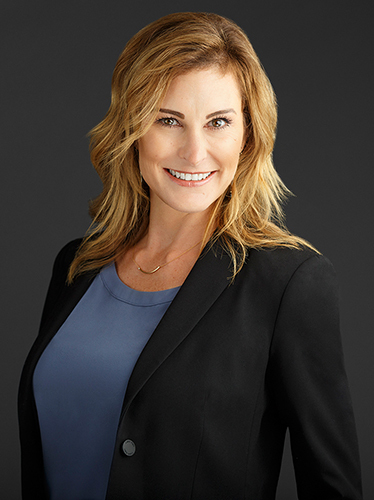 I pride myself on being a connector in Coronado, helping friends and clients meet one another and find commonalities to make personal bonds form a lifetime relationship. After graduating from DMACC in Iowa and earning an associate degree in business, I moved to Arizona and worked as an administrative assistant for a mortgage office in Scottsdale, which fueled my interest in the real estate field. However, my career took a different path when I decided to manage the front office of our health and wellness center for several years. After selling our office, I went into the direct selling market for five years and managed my own businesses. Then, after vacationing in San Diego every summer to escape the Arizona heat, we chose Coronado as our home in 2010. I quickly became an active volunteer in our community and in the schools, chairing the Scholastic book fair twice a year for four years, raising money for the teachers’ classroom libraries. I also was actively involved in both PTA groups, donating my time to help with fundraisers and chaperoning various events. In addition to volunteering, I became certified in two fitness fields and taught weekly classes for four years. These years I’d spent marketing myself in health and wellness and dealing with direct sales led me back to real estate and gave me the communication skills, negotiating aspects and the honesty and integrity needed to be a successful Realtor. In my free time, you’ll either find me busy practicing Bikram yoga, working out at the gym or volunteering for a local advocacy organization, in addition to spending quality time with my family and dogs at home.